1. Please be aware that all courses are weather dependent and safety is paramount. If a course is compromised due to this Bn1 will offer alternate course dates and times. 2. All decisions regarding the running or cancellation of any courses is at the discretion of BN1 Kitesurfing. 3. BN1 reserves the right to offer you an alternative upgrade in Price or an alternative booking date when a course doesn’t meet its numbers. ie if you book a group or 2/3 day course and you are the only attendee, you will be offered a session of £120 instead of £110. 4. A booking fee of £30 will be required to book all future individual sessions or courses (per day). See Pay Pal. 5. 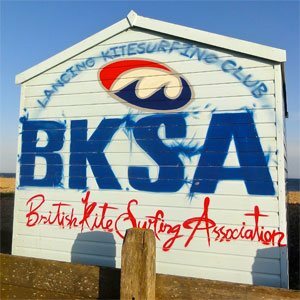 Any course cancellations made by students must be a minimum of 72 hours prior to the course date; BN1 Kitesurfing will then offer an alternative date. Refunds are not possible. £60 – 72 Hours, £90 – 48 Hours, £120 – 24 Hours before. 7. Deposits must be used within a duration of 12 months from the initial booking date. 8. Vouchers must be used within Twelve months of their date. 9. Vouchers can not be refunded unless it is within 21 Days of their purchase date. 10. BN1 Kitesurfing carries full public liability insurance but students must be aware that air and watersports are potentially dangerous and are undertaken at their own risk. A medical form will be issued on site for both parties safety and awareness.